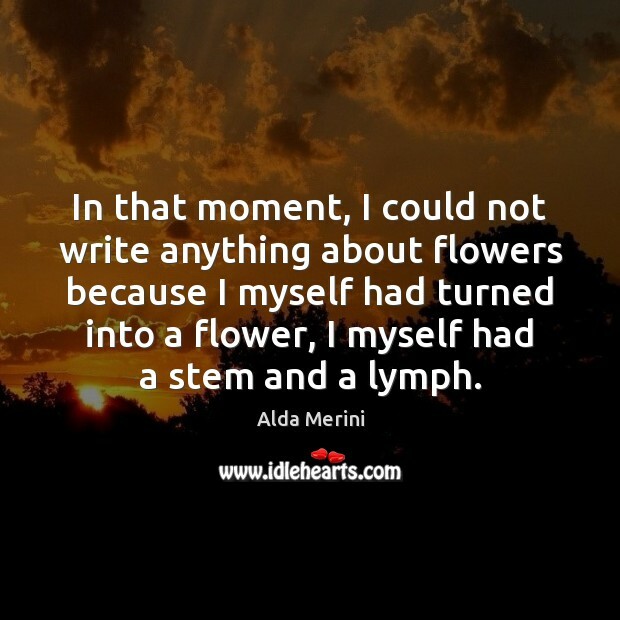 Enjoy the best inspirational, motivational, positive, funny and famous quotes by Alda Merini. Use words and picture quotations to push forward and inspire you keep going in life! 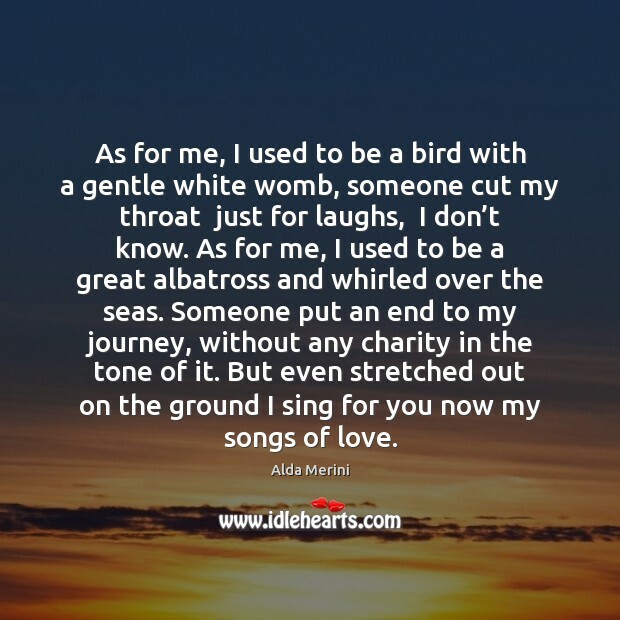 As for me, I used to be a bird with a gentle white womb, someone cut my throat just for laughs, I don’t know. As for me, I used to be a great albatross and whirled over the seas. Someone put an end to my journey, without any charity in the tone of it. But even stretched out on the ground I sing for you now my songs of love. In that moment, I could not write anything about flowers because I myself had turned into a flower, I myself had a stem and a lymph. 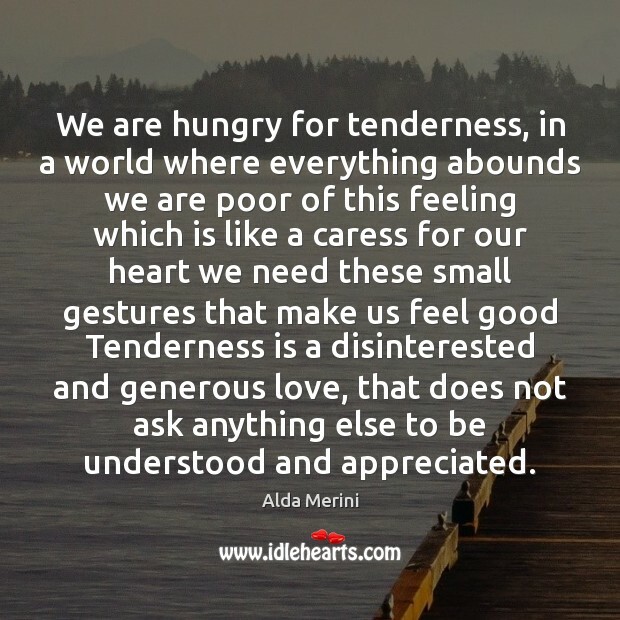 We are hungry for tenderness, in a world where everything abounds we are poor of this feeling which is like a caress for our heart we need these small gestures that make us feel good Tenderness is a disinterested and generous love, that does not ask anything else to be understood and appreciated. I don't like Paradise, as they probably don't have obsessions there. 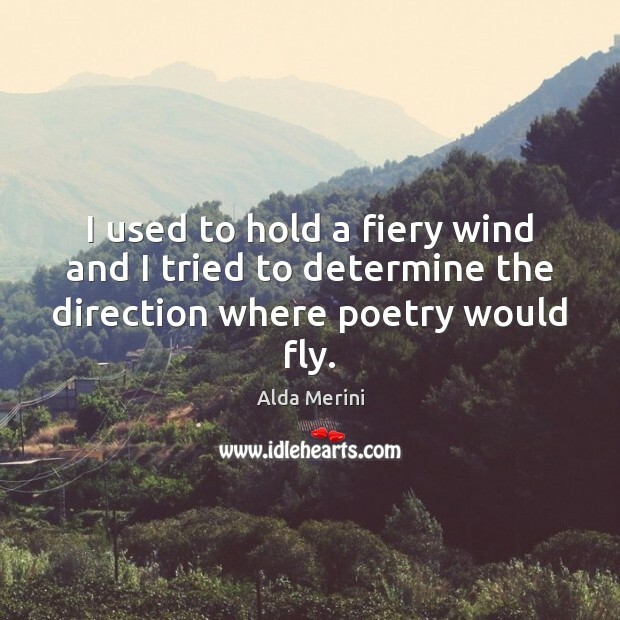 I used to hold a fiery wind and I tried to determine the direction where poetry would fly.